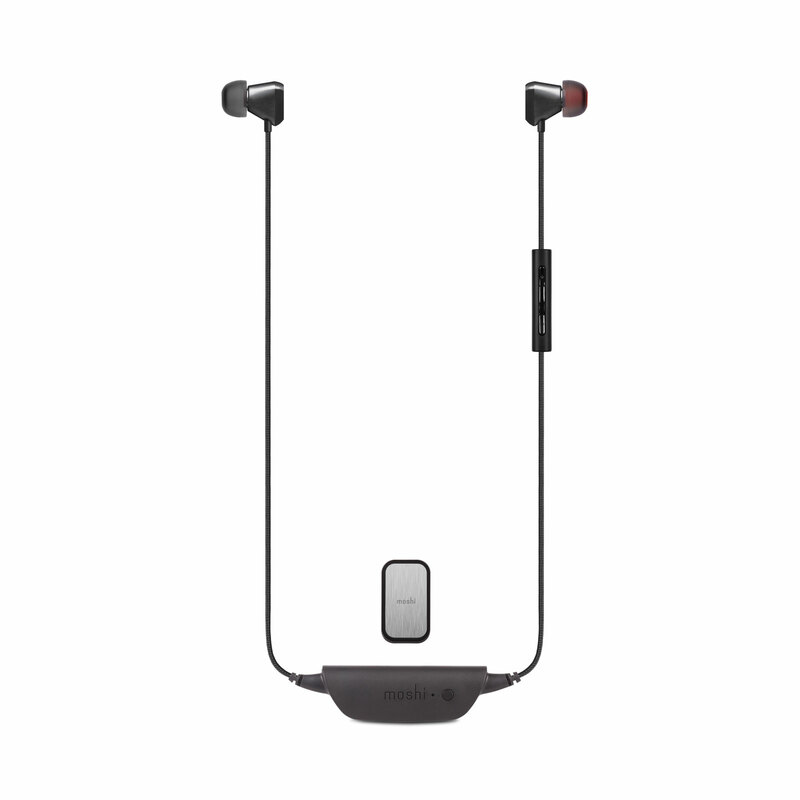 Vortex Air wireless headphones are compatible with both iOS and Android devices, these wireless earphones give you 8 hours of playtime with a convenient magnetic clip to secure Vortex Air in place. 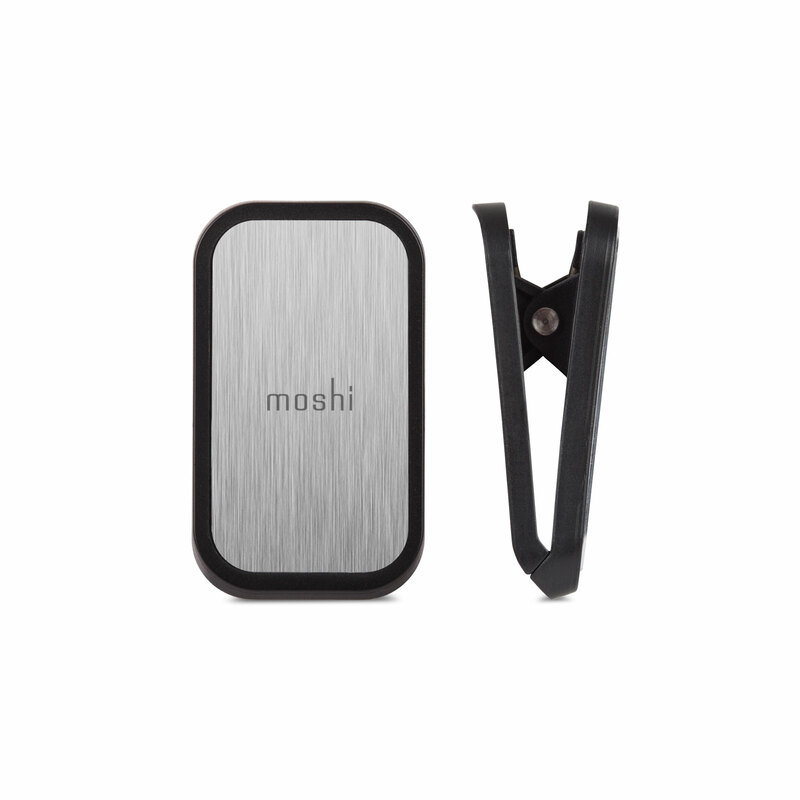 Enjoy and share your favorite tunes with Moshi's Vortex Air wireless earbuds. 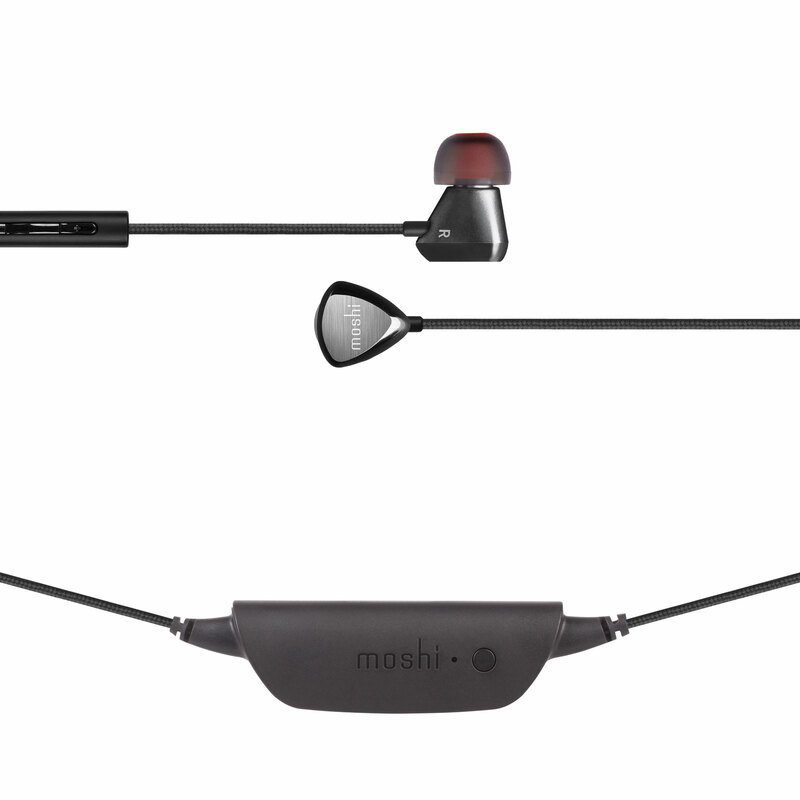 Compatible with both iOS and Android devices, these reference-grade earphones give you 8 hours of playtime so you can listen to tracks and answer calls throughout the day, all on a single charge. Vortex Air also lets you share good times with a friend thanks to our DJ4two™ feature which streams music to a second Moshi headset. Utilizing the same drivers and proprietary RigidBody™ steel housing as Vortex, Vortex Air retains the beloved sonic signature of its wired counterpart featuring deep articulate bass without distortion. The drive units consist of high-definition Neodymium drivers housed in sintered steel alloy to minimize cavity-induced coloration. This design not only vastly improves low frequency extension, but also renders silky smooth highs. 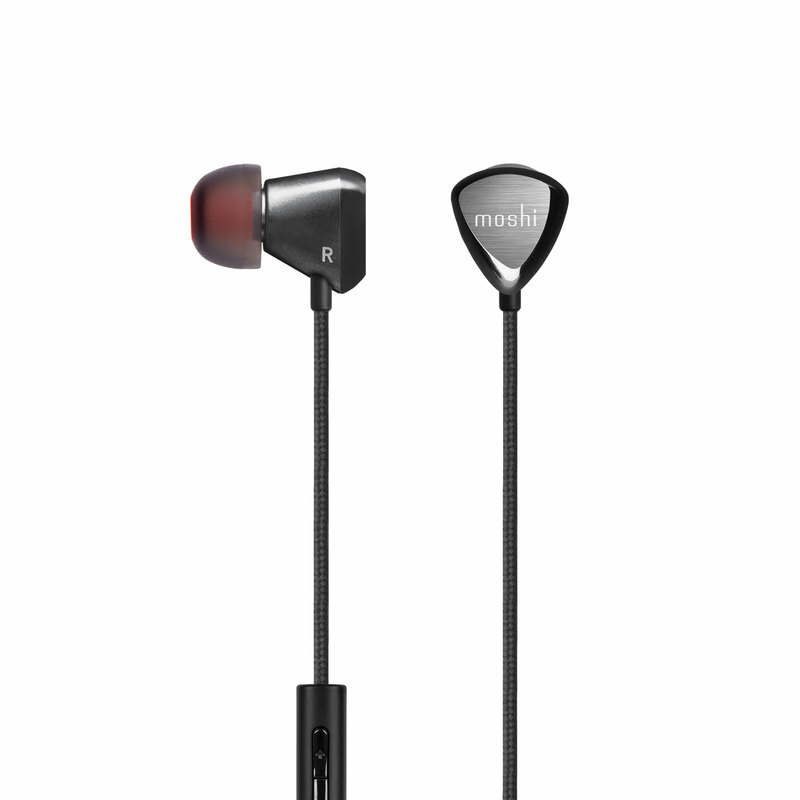 Vortex Air comes with 3 different sizes of hybrid-injection silicone ear tips as well as a set of memory foam ear tips that can effectively block out external noise while providing hours of comfortable listening. Also included is a convenient magnetic clip to secure Vortex Air in place. 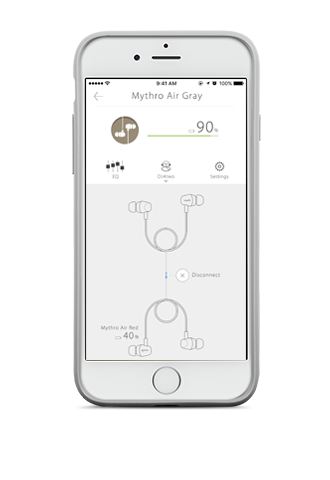 Advanced Bluetooth wireless design with 8 hours of playtime. RigidBody™ steel alloy construction delivers deep, clean bass. High-definition HR8 Neodymium drivers with extended range.